Hollywood is in a tizzy! A famous actress, $10 million in cash, and the only copy of one of the company's most highly anticipated films are all missing! The film company has hired Angela, a famous Hollywood detective to work on the case. But everything isn't that easy of course. Help Angela through this web of intrigue by working through 160 captivating levels. Experience some new twists that are guaranteed to be exciting for I-Spy fans. Work with familiar Hollywood faces as you search for missing items, hunt for parts of items to solve bigger mini-games, put items back into place, and decode logic puzzles all so you can solve the case behind Detective Stories: Hollywood. 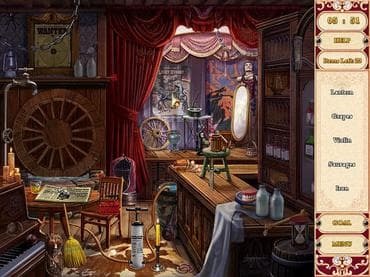 Free Game features: - 160 captivating levels; - Find clues and decode logic puzzles to solve the case; - Great mix of hidden objects and mini games; - See well-known faces as you save Tinseltown from disaster. If you have questions about Detective Stories: Hollywood game, please contact us using this form.